EAI staff includes specialists in the areas of biology, benthic macroinvertebrates, coastal ecosystems, ecology, environmental permitting, ichthyoplankton and meroplankton taxonomy, protected species management, submerged aquatic vegetation, terrestrial flora and fauna, vegetative restoration, and wetlands management and mitigation. EAI employs a number of full and part-time technicians to assist senior staff with a variety of field and laboratory activities. Additionally, EAI has established a broad and diverse network of associate scientists whose expertise can be drawn upon as project demands dictate. EAI also has excellent working relationships with a number of state-certified laboratories that can perform a broad spectrum of chemical analyses on ground water, surface water, and sediment samples. Stan serves as the President and CEO of Ecological Associates, Inc. He has over 20 years’ experience and a wide ranging and diverse background of technical and general management in large and small companies. It is Stan’s personal belief that being socially and environmentally responsible and being a successful business can go hand-in-hand. Stan is heavily involved in identifying new ways in which emerging technologies can be adapted and applied to the services EAI provides. Niki has 14 years of professional experience in permit-compliance monitoring for protected species. Her work focuses on evaluating impacts to sea turtles and shorebirds from coastal construction projects in Indian River, St. Lucie and Martin Counties. She oversees hiring, training and coordinating all field staff for sea turtle/shorebird monitoring projects; database management and QA/QC; reporting data to agencies; data analysis and report writing; and coordination with clients. Niki is also involved in operations management and business development at EAI, representing the company at industry and scientific meetings. Senior Project Manager with over 20 years’ experience. Responsible projects including CWA 316(a) and 316(b) projects, turbidity compliance monitoring, taxonomic analysis, seagrass monitoring, biological characterization studies, and marine oriented projects within EAI. Primary database management developer for the company with over 20 active project databases. Member of the American Society of Ichthyologists and Herpetologists (ASIH) and American Fisheries Society (AFS). 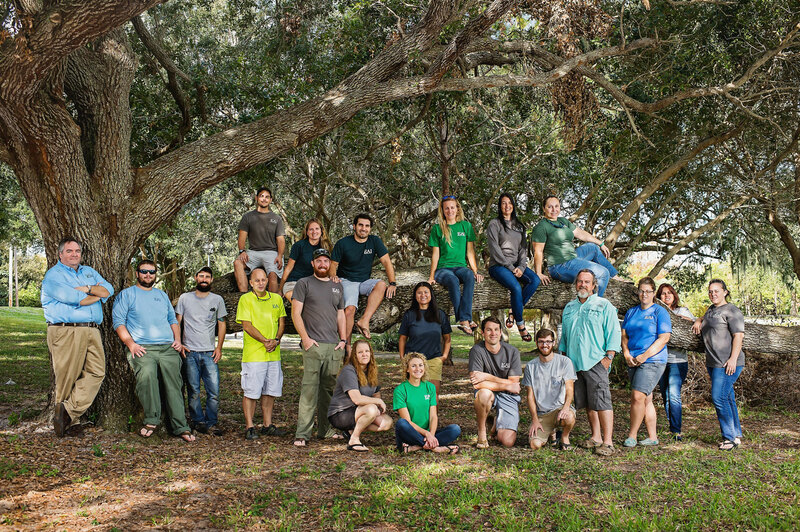 Active participant for eight years in the Florida Interagency Calibration Exercise to standardize seagrass scoring and data collection across agencies and universities in Florida. 10 years of professional training and experience in land management principles, wildlife surveys, native flora identification, natural resource impacts, mitigation calculations, environmental resource permitting, mangrove trimming and removal permitting, and compliance inspections for environmental regulations. Specialized experience in proprietary authorizations, lease inspections, conservation land protections, and water quality sampling protocols for multiple State agencies.